Certaldo: a beautiful medieval village in Tuscany for your wedding! 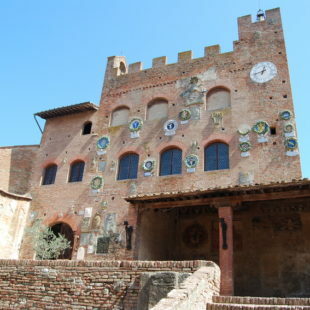 Certaldo is a marvellous, medieval town known around the world because the famous Giovanni Boccaccio came from here. 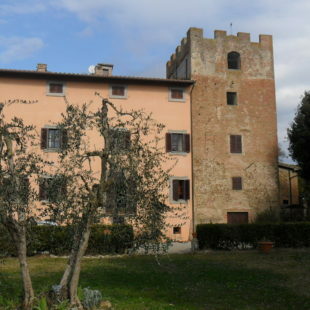 As the very same Boccaccio said, “upper Certaldo is like a castle which dominates the territory of Valdelsa”. Quaint squares, towers, lanes and buildings rich with history and charm….surpassing these walls is like taking a step back in time, reliving the sensations and traditions of the past. Certaldo is a popular choice with many Italian and international couples wishing to celebrate their wedding in Tuscany. For couples wanting a civil ceremony the grand interior of the atrium within the majestic Palazzo Pretorio, which dominates the main street of the small town, awaits or the beautiful ex Chiesa SS Tommaso e Prospero, which is situated next to the building. 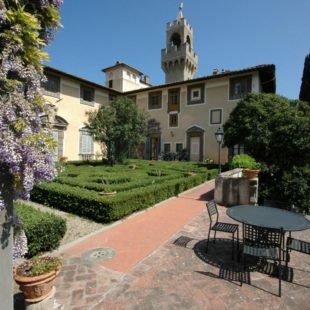 From the big towers of the Palazzo Pretorio you can marvel at the view of the Tuscan countryside, Santa Maria Novella, Luccardo, Semifonte and all the enticing places having big historical interests.